We are a leading Manufacturer of visitors coat and safety jacket from Pondicherry, India. 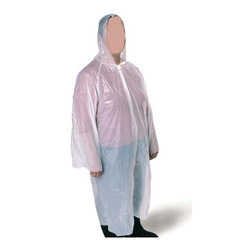 We are successfully ranked amongst the top manufacturer and supplier of Visitors Coat. Safety Jacket offeredcan be made available by us in different finish choices so as to perfectly match up with the specific end working requirements of the customers. Featuring polyester shell and water proof PU coating support, these jackets can be made available by us in options of different colors as demanded by the customers. 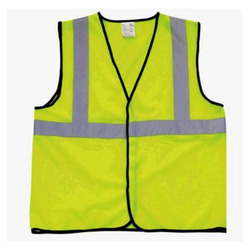 Some of its features include coming with support of reflective tapes in different widths; optimum padding support; 100% polyester, mesh lining; zipper and Velcro closure finish; provide for high visibility support; provision of chest pocket and others. Looking for Safe Tech ?